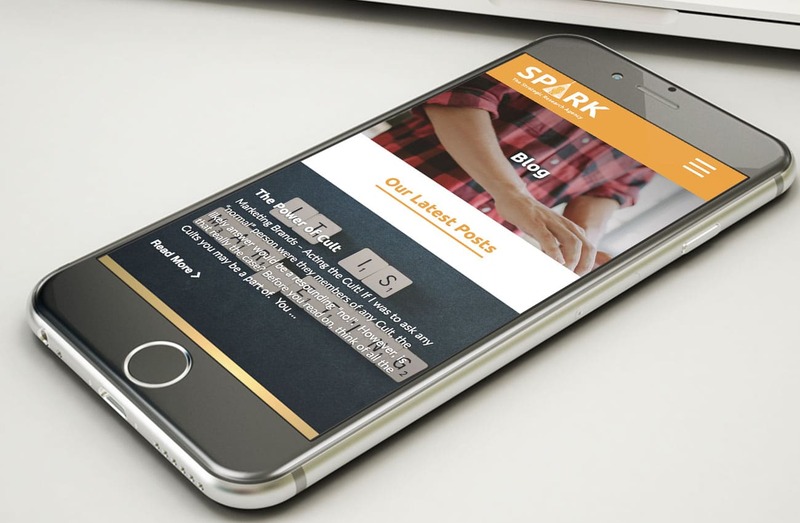 Spark is a strategic research agency with a boutique feel and strong brand. 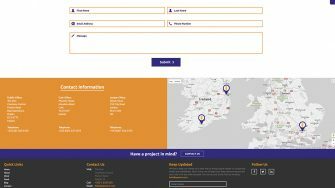 Based in Dublin, they work on a wide range of consumer and business projects, offering traditional qualitative and quantitative services, as well as new methodologies. They began in 2007 with a team of just two people. A decade later and they now have a team of 15 people, do business in over 30 countries and work with some of the biggest brands on the planet. 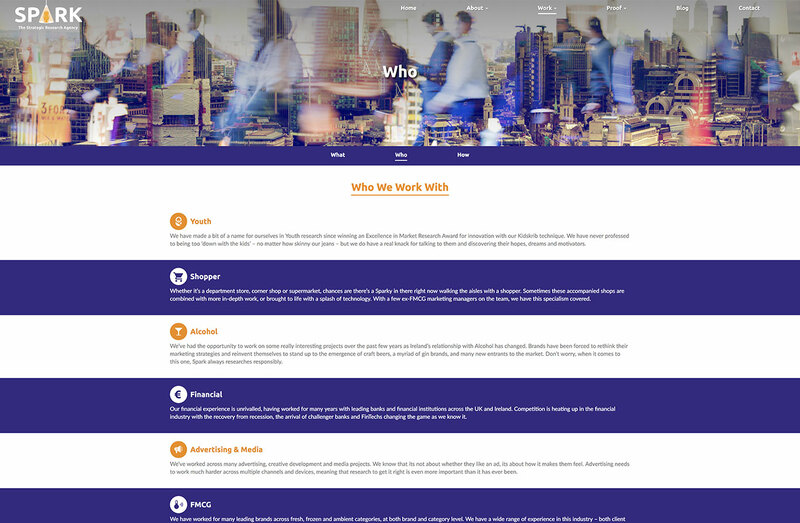 With the 10th birthday celebrations around the corner, they asked us to re-design their website to reflect the dynamism and vibrancy of their office and the professional yet fun nature of their people. 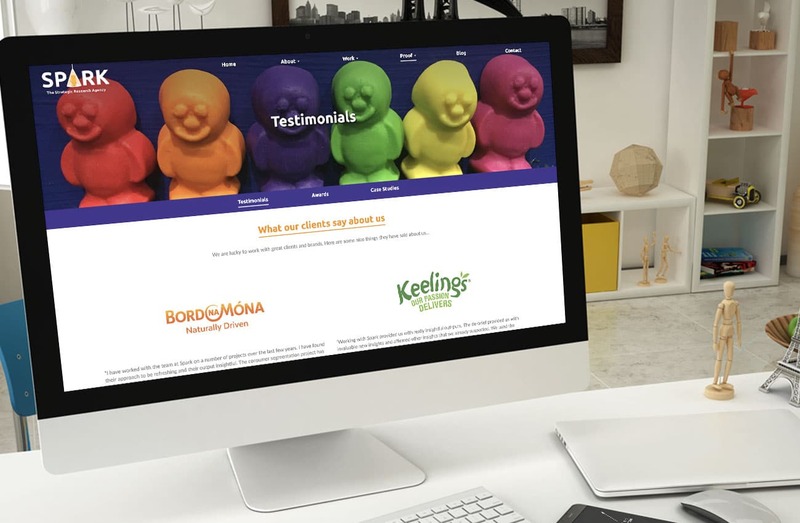 Just launched, it is certainly one of the most colourful websites we’ve designed in recent times, full of character and personality, including Sparkie (an orange jelly baby and their company mascot). 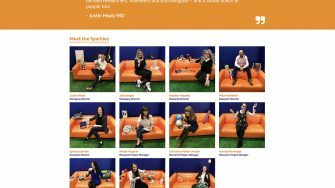 The first thing you see on the Spark website is an orange jelly baby. 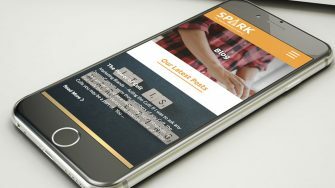 This is Sparkie, their company mascot and a key part of their brand story. He’s been with them since day one, and perfectly embodies their bright and bubbly personality. 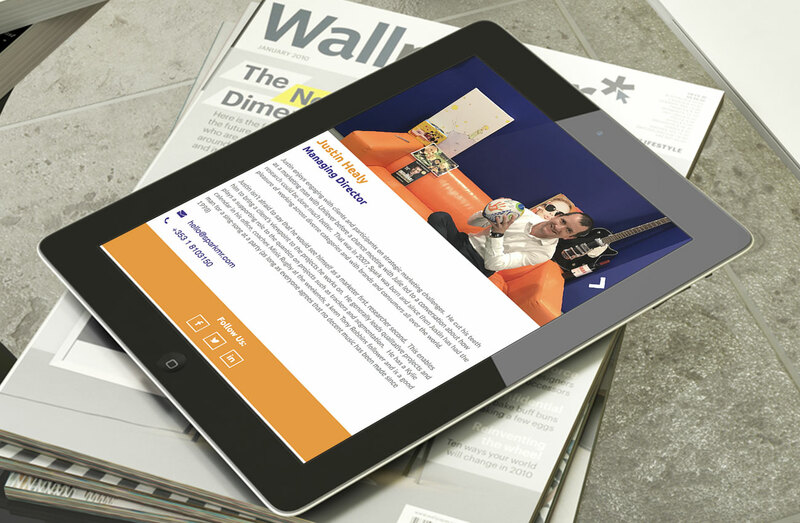 He features in much of their marketing material and throughout their funky offices. The rest of the website is equally bright and bubbly. The objective on each page was to include just the right amount of information, not too much or not too little, and to frame it in a visual context that inviting to read and easy to digest. It helped that we had a rich colour palette at our disposal and free reign on lots of intriguing images. 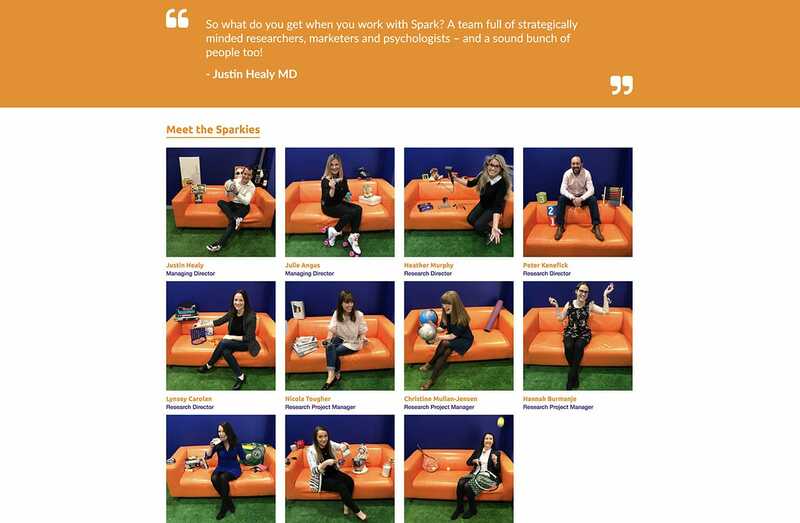 One of the highlights of the site is the ‘People’ page where you can see all the team members and learn more about their passions and pastimes. 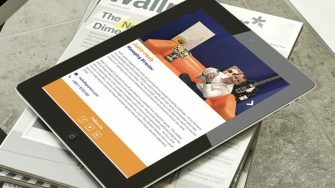 Spark worked with Passion for Creative to build our new fully responsive website as part of our 10th birthday celebrations. 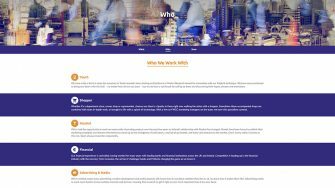 It was important for us to work with a website partner who understood our business and our brand, and that our brand personality came through in our website. 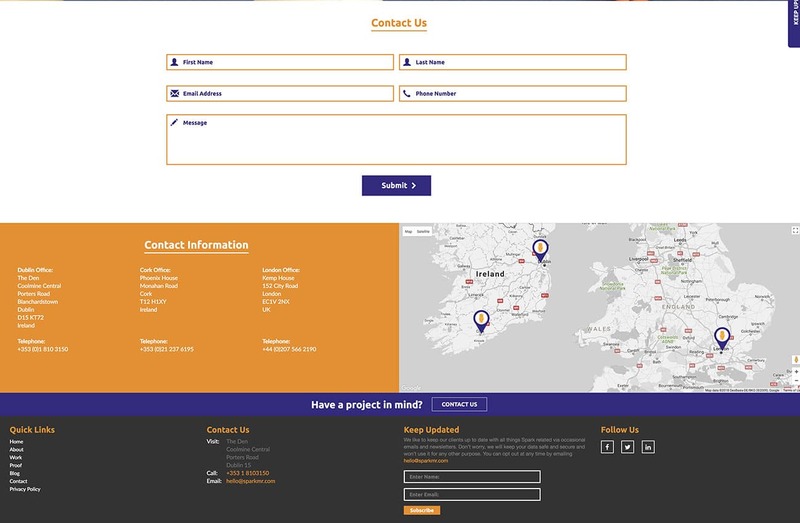 We’re very proud of our new website and the possibilities it offers us - thanks to Passion for your continued support.